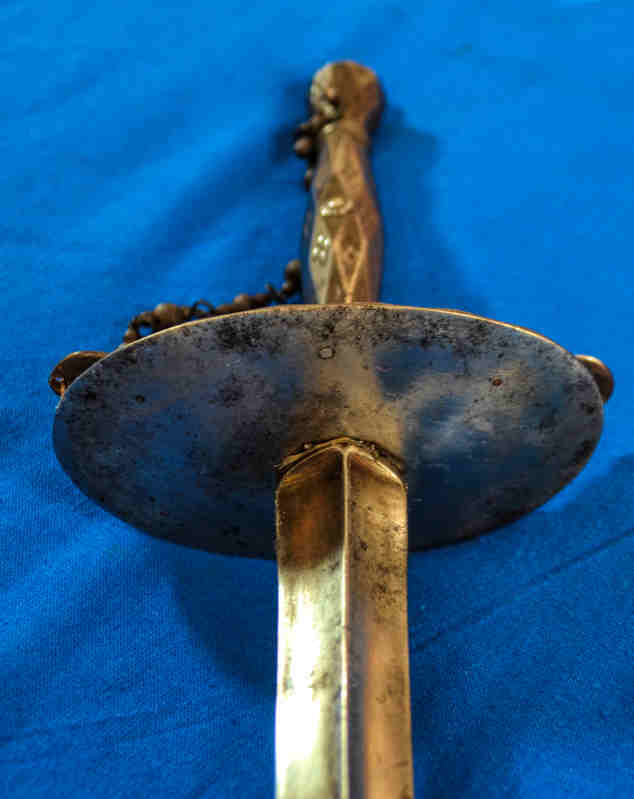 Up for consideration and comment is a steel hilted smallsword. 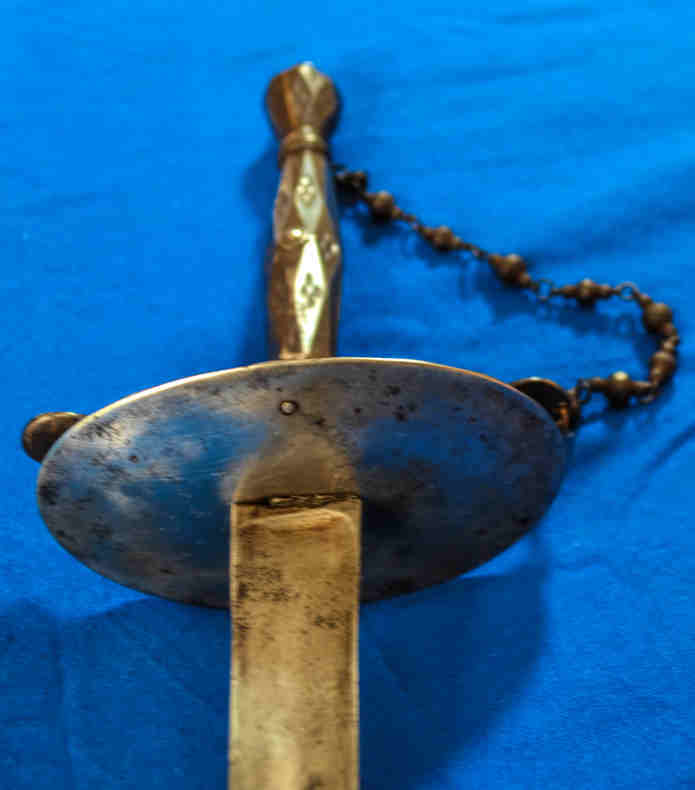 Faceted steel hilt with cross guard and chain. Small pays d'an, bosses and indented decoration to inside of shell guard. The front face of the guard is polished steel with no trace of blacking or blueing left (if there ever was any). Blade is traingulr cross section, fairly stiff with a wicked point but no real edges. No etched decoration, makers mark or name. I am thinking English or French circa 1790? Anybody like to confirm that? Italian, Spanish, 21st century Chinese? All opinions and thoughts gratefully received. Profile taper: 0.89'' (22.6 mm) at ricasso, 0.45'' (11.4mm)at mid blade, 0.25'' (63mm) 2 inches from tip. Distal taper (measured across triangle forming fuller) 0.39'' (9.9 mm) at ricasso, 0.23'' (5.9mm)at mid blade,. 0.13'' (3.5mm) 2 inches from tip. My vote is English, mid-1780s to very late 1700s, and perhaps even into the early 1800s (?). 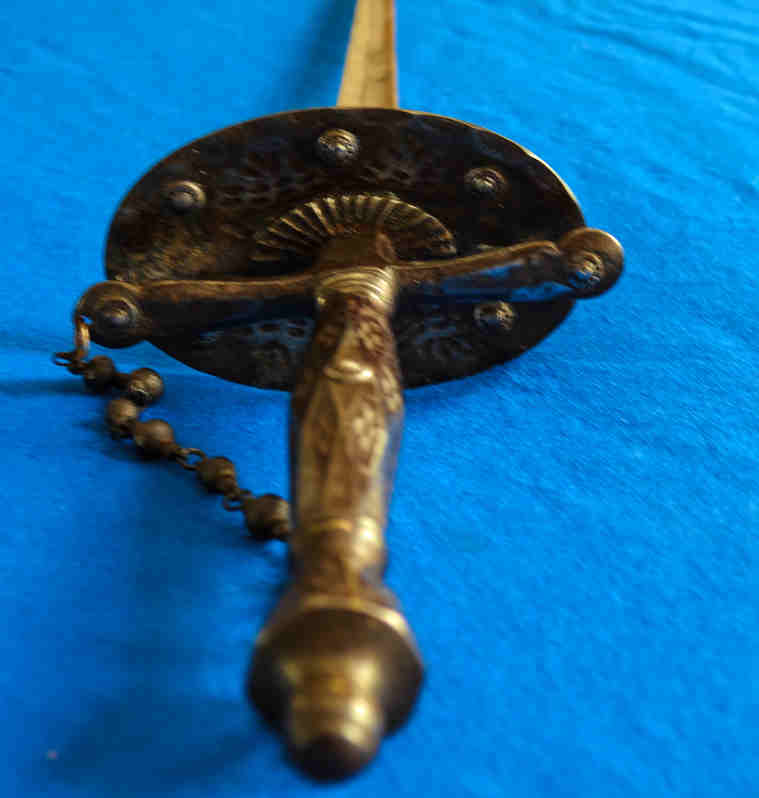 I would say English court sword, right at the start of the 19th century.